As many of us know, VMware NSX is one of the hottest VMware technologies right now. What some may not know is there is a VCP, or VMware Certified Professional certification that specifically addresses this product. The NSX VCP certification is called the VCP-NV certification, where the NV stands for Network Virtualization. Are you still coming up to speed on NSX? 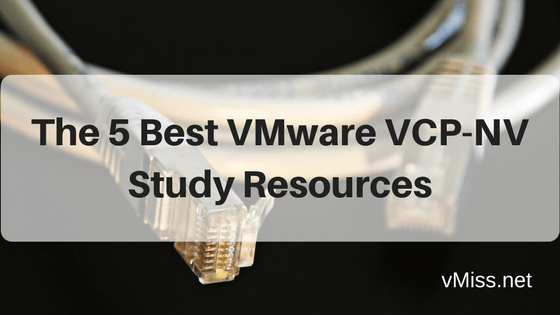 Are you looking for a VCP-NV study guide? Have no fear, there are plenty of resources to help you get started with VMware NSX in general, and get prepared to take the VCP-NV exam to earn the first VMware NSX certification VMware offers. The current VCP-NV exam is 2V0-642, which covers NSX 6.2. This is important to keep in mind when you are looking to obtain a VMware NSX certification, since there was a previous exam called 2V0-641 which covered NSX 6.0. This means you are going to encounter many resources out there that specifically are tailored to the earlier version. This is nothing to worry about, since I am about to tell you about my 5 favorite VCP-NV study resources, and how to use them. What is a VMware VCP? The term VMware VCP is a little bit redundant, as VCP stands for VMware Certified Professional. The VCP certification is VMware’s entry level certification into the world of VMware technologies. The VCP certification requires taking a VMware authorized training course in your area of interest, and passing an exam. Having a VCP makes it easier to gain multiple VCP certifications, as you do not need to take an additional training course for additional VCP certifications. For the most up to date information on the VCP certification be sure to take a look at the VMware Certification Official Site, and click on the VCP track you are most interested in. The rest of this article is all about gaining the VCP-NV, the first level of VMware NSX certification. If you are looking to obtain your first VMware NSX certification, this is the best place to start. This is your guide to exactly what you will encounter on the VCP-NV exam. It is important you understand and feel comfortable with each area of the exam guide (which you may also hear referred to as a blueprint) before you take the VMware NSX certification exam. This guide is always specific to the current NSX certification exam, which means you should have it handy whenever you are studying, and you can be assured you are looking at the correct VCP-NV material. This is extremely important to read and understand, especially if you are using VMware NSX certification study resources geared towards the previous exam. The world of VMware NSX is rapidly evolving, so there are many changes between versions 6.0 an d 6.2. This is your one stop shop to getting a handle on those differences. Click here to take a look at the release notes for NSX 6.2. Be sure to pay special attention to what you need to do to prepare for NSX, like understanding compatible vSphere and ESXi versions, and required ports. Because NSX is well, the next evolution of vSphere networking, it is always good to go back to basics and brush up on your vSphere networking. The VMware vSphere Networking guide (especially the section on distributed virtual switches) will help you get in the right mindset for taking the exam. This is an especially solid resource to become familiar with if you plan to obtain VMware NSX certifications beyond the VCP-NV certifications. It never hurts to take a look at what others have gone through when they have studied for the 2V0-642 VCP exam for NSX. Many also list their favorite study resources and general tips for studying and things like time management during the exam. I’ve found two exam experiences specifically for the 2V0-642 exam. You will also be able to find many more during your studying and research. When you are reading other exam experiences, remember to pay attention to which version of the exam was taken. While earlier exam experiences are still certainly valid, do not forget to refer back to the exam guide and what’s new with NSX 6.2 documentation to make sure you have the most up to date information. These are my 5 favorite study resources for the NSX VCP exam, and I hope you find them useful during your course of study. While the material is certainly a key part of obtaining the VCP-NV certification, let’s take a look at the exam and the requirements of the certification. I know this article was about the 5 best VCP-NV certification resources, but it turns out I’ve found even more great resources I can’t help but sharing. Be sure to check out the #VMwareSummerReading list, because there are a ton more blog posts all about VMware NSX! Baseline Knowledge – Getting Started With VMware NSX. If you are just starting to research VMware NSX certification, be sure to check out the above link for some great baseline knowledge about VMware NSX. The exam itself consists of 77 questions over 120 minutes. You will need a score of 300 to become a VCP-NV and earn the first VMware NSX certification. If you hold a valid VCP in any other VMware solution track, you will be able to take the exam after you have studied. If this is your first VCP certification, there are some additional requirements besides passing the 2V0-642 exam to become a VCP-NV. 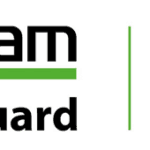 You will need to take an authorized training class and pass the vSphere foundations test. If you hold a Cisco certification such as CCNA, CCNP, or CCIE, you will need to take the vSphere foundations test before becoming a VCP-NV. For the full requirements, be sure to take a look at VMware’s official VCP-NV certification page.